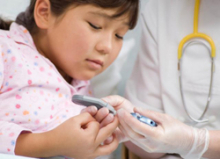 This section of our site provides general information about diabetes. Many people are unaware of the risk factors for type 2 diabetes or the symptoms for both type 1 and type 2 diabetes. This is one of the reasons for late diagnosis of both types. A significant part of our mission at the UF Diabetes Institute is to assure access to comprehensive clinical services in a caring environment that is responsive to the needs of our patients, their families, and their caregivers. The following links may be useful to adults who have recently learned that they have been diagnosed with or are at risk for type 2 diabetes. Please remember that the information on this site is for the purpose of providing information only. It is not intended as the practice of medicine or the provision of medical services, and should not be considered medical advice. Please always consult your provider or other healthcare professional with any question regarding your medical or mental health.